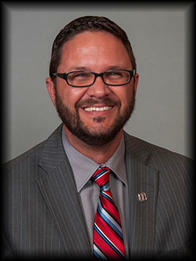 Jeremy is an assistant vice president and business banking relationship manager for Fifth Third Bank of North Florida. He manages, grows, and acquires relationships with business customers that have annual gross sales of more than $2MM and less than $20MM. Jeremy enjoys partnering with existing and new customers to fully understand all of their businesses and personal goals. His comprehensive approach helps companies overcome challenges and implement innovative growth / cash management strategies. Jeremy graduated from Allegheny College of Maryland with a Bachelor of Arts in Business Administration and Management. He lives in Orlando with his wife of 11 years. He enjoys golfing and spending time outdoors with his family. Jeremy is also actively involved in his community serving as a board member of Athlete Connections Foundation since 2013 and a volunteer for United Way and Junior Achievement.